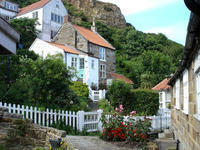 There are lots of things to do around Goathland. 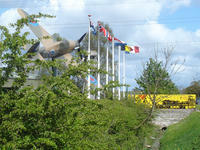 It is an ideal base from which to explore further afield. 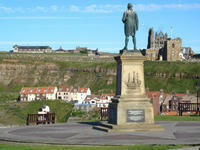 Whitby, Pickering, Scarborough and York are all within very easy reach. 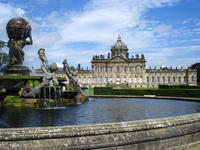 Eden Camp, Castle Howard and Flamingoland are no more than half an hour away. 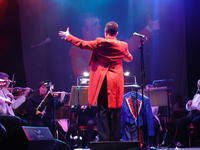 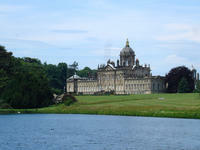 There are many events throughout the year, including the Wartime Weekend, the Tall Ships race, Egton Show and Castle Howard's "Proms Spectacular". 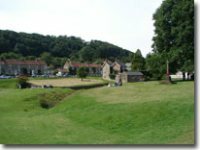 Glendale House is also a good place from which to follow the Captain Cook trail, and all the places of interest, from his birth place, to Whitby (where he sailed from), are no more than 45 minutes away. 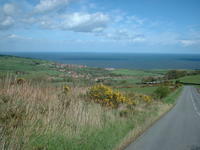 These are photographs of some of the places that are within easy reach of Goathland. 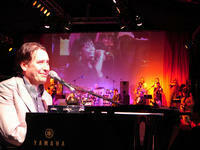 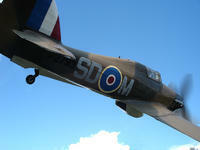 For a comprehensive list of events for 2011 - follow the link at the bottom of this page. 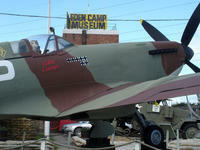 Eden Camp, York Hutton-le-Hole, Castle Howard, Flamingoland, Dalby Forest. 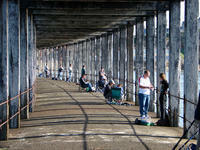 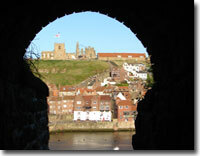 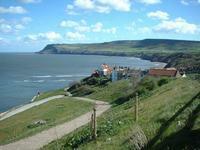 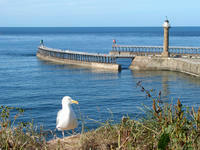 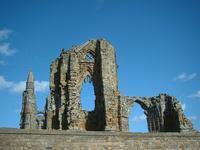 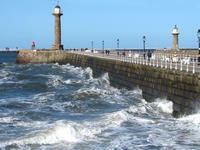 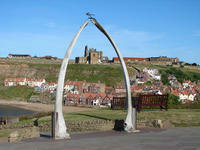 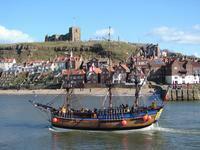 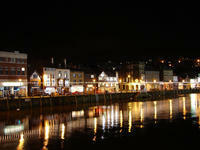 Whitby is a historic fishing town on the North Yorkshire coast, about 7 miles from Goathland. 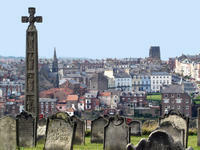 From the old town, the alleyways and narrow cobbled streets lead to the 199 steps, then up to St. Hilda's Church and Whitby Abbey. 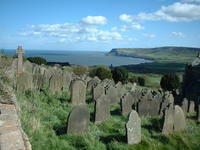 This is the area that was the inspiration for Bram Stoker's "Dracula", and Count Dracula is said to be buried in the graveyard. 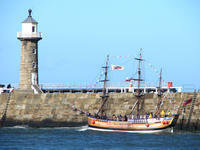 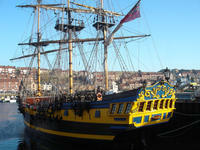 Captain James Cook sailed from Whitby, and a replica of one of his ships, the Bark Endeavour, is often berthed in Whitby harbour. 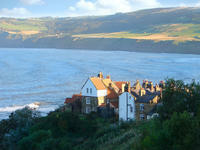 The ancient fishing village of Robin Hoods Bay, lies 5 miles south of Whitby. 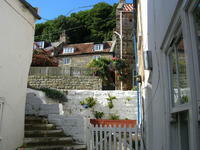 The village is built on a steep hill, and is a maze of tiny streets and alleyways, with little stone cottages piled on top of one another. 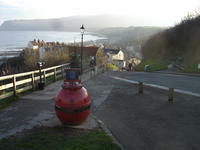 Robin Hoods Bay, once a smuggling port, still has fishing boats, but the pubs and craft shops make it attractive to tourists. 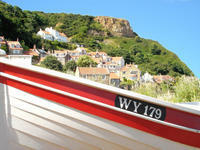 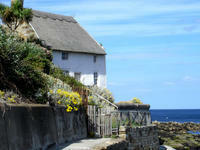 The quaint little village of Runswick Bay, with its white painted cottages, and neat gardens,sits in one of the most beautiful bays on the Yorkshire coast, fringed with golden sands. 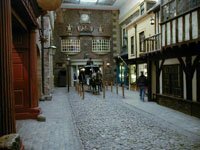 Take the time to wander through the narrow passages, and maybe sit with a quiet drink outside the pub, overlooking the bay. 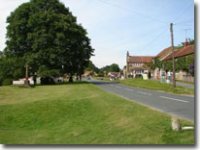 Although the village only has 40 full time residents, it is a popular village in the summer, but in the winter it is a haven of peace and tranquility. 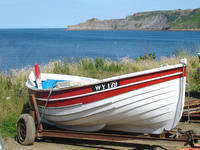 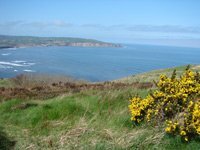 Ravenscar is a tiny village that sits on the cliffs over one of the most spectacular bays along the coast. 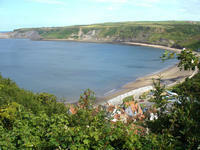 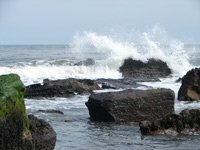 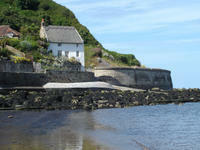 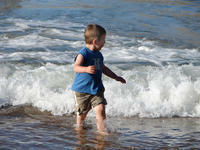 This stretch of coast is renowned for its rich fossil beds and ammonites and belemnites are often found on the beach. 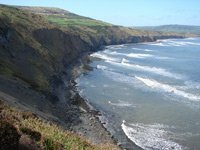 Ravenscar is also home to the Peak Fault – a major geological fault that has affected the shape of the landscape. 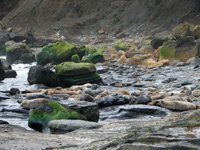 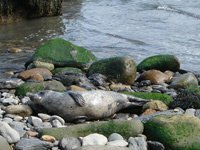 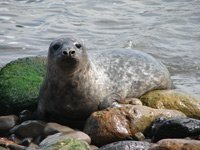 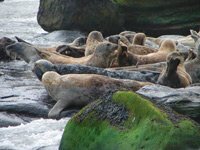 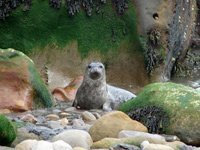 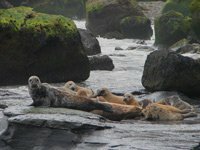 For anyone willing to make the trek 600 feet down the cliff path, you may be rewarded by the sight of a colony of seals. 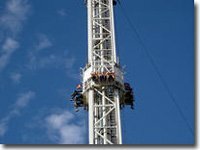 Be warned though ...... it's a 600 foot climb back up. 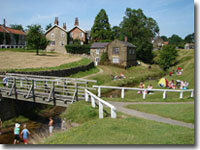 Pickering is a historic market town on the edge of the North York Moors National Park, just a short drive (about 14 miles) or a steam train ride from Goathland. 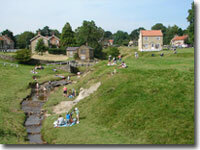 Pickering Castle and the Beck Isle Museum are both well worth a visit, and the town has a good selection of shops and cafes. 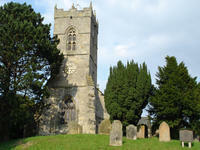 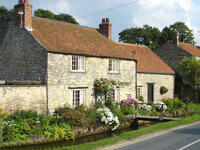 Nearby Thornton-le-Dale was once voted the prettiest village in Yorkshire. 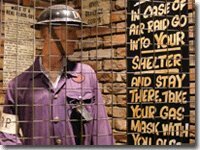 This is no ordinary Museum - they have reconstructed scenes using movement, lighting, sound, smells, even smoke machines to transport you back in time to the second World War, to make you feel that you are there taking part in history. 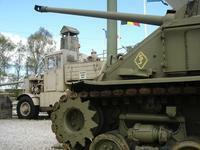 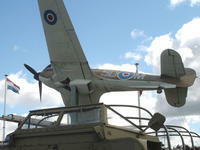 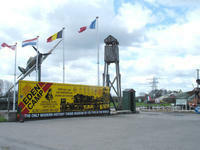 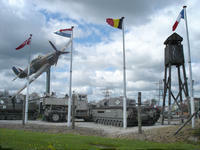 Eden Camp Museum is an original Prisoner of War Camp built in 1942. 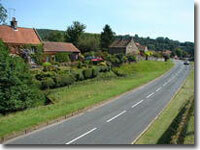 Hutton-le-hole is a beautiful little village on the Yorkshire Moors between Castleton and Kirkbymoorside. 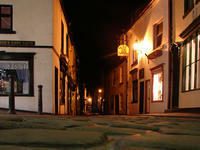 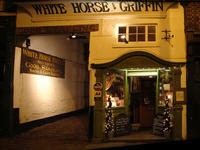 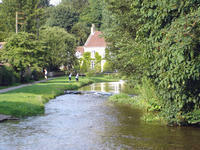 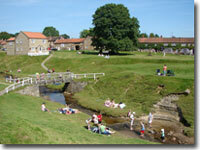 The village has a pub, a gift shop and sweet shop, and is home to the Ryedale Folk Museum. 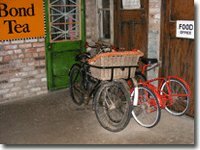 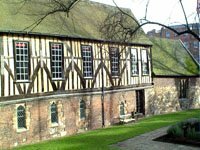 The Museum is set in 3 acres, and there are rescued or reconstructed historic buildings including, shops, thatched cruck cottages, Elizabethan manor house, barns and workshops. 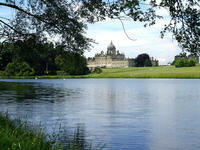 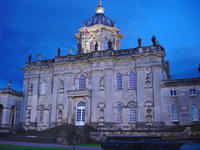 The stunning 18th century historic stately home, its beautiful gardens and lake, are well worth a visit. 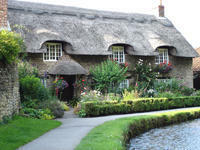 The house is open to the public, and there is a Farm Shop, Plant Centre, Chocolate Shop, Gift Shops and Bookshop. 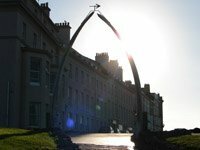 A choice of four cafés, including the award-winning Courtyard Café, serve refreshments and meals throughout the day. 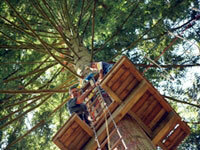 In the summer, you can take a boat trip on the lake, and there is a a very good children's adventure playground. 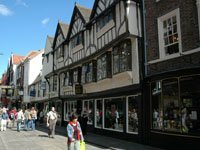 York is a beautiful city with all the modern facilities you would expect, but also steeped in history. 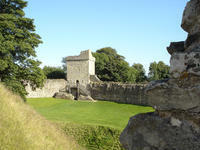 It is one of the few cities to have its medi-eval walls still almost intact. 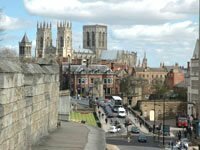 The walls, which are 3 miles long, encircle the city, and have four gates (or bars) which are the original entrances to the city. 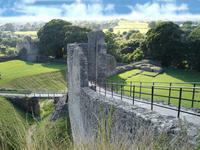 You can walk the entire length of the walls. 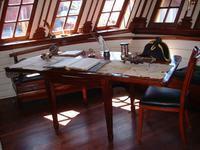 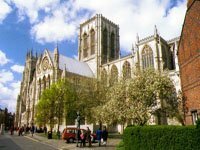 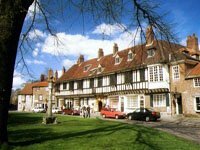 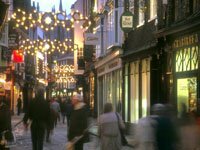 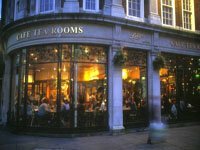 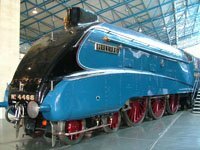 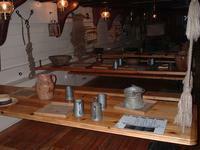 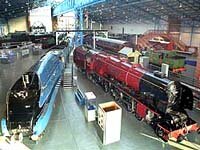 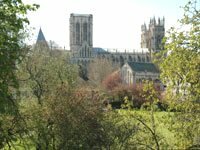 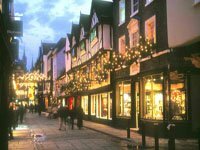 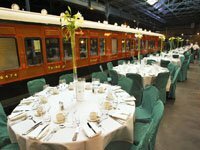 The city has museums, including the National Railway Museum, Castle Museum and Jorvik Centre. 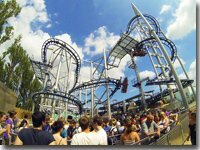 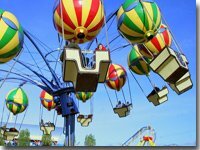 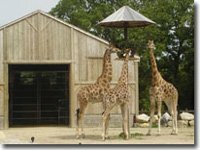 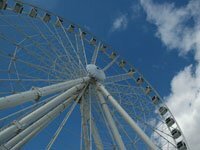 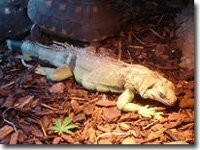 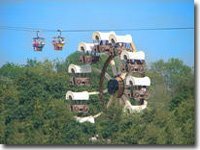 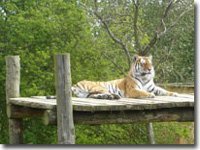 The UK's only Theme Park, Zoo and Holiday Park all on one site. 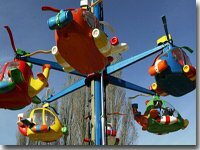 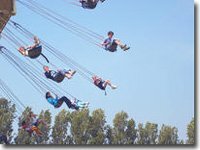 There are dozens of rides for children and families. 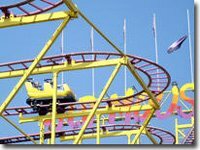 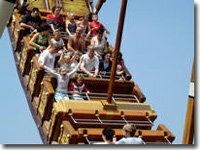 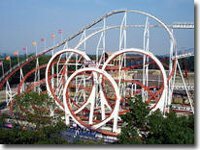 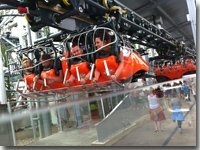 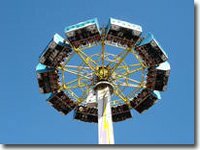 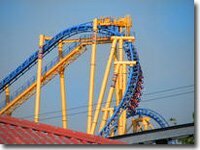 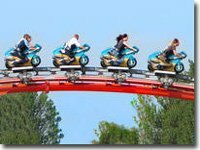 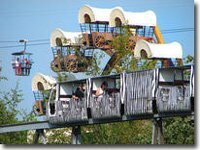 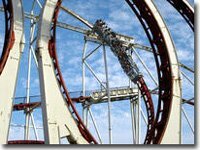 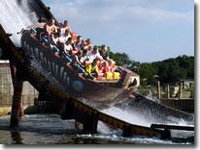 White knuckle rides include: "Velocity" "Mumbo Jumbo" a six million pound rollercoaster called Kumali, and the newest one - "Hero". 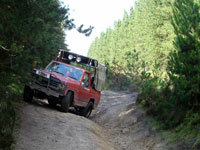 Dalby Forest is situated in the North Yorkshire Moors National Park, and contains a network of forest roads, including the beautiful 9 mile Dalby Forest Drive. 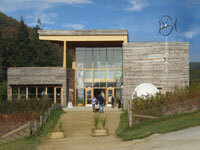 The forest has BBQ / picnic areas and childrens adventure play grounds, a lake, visitor's centre, a cafe and shops. 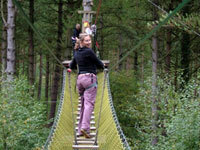 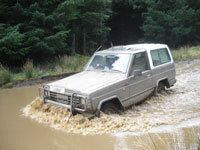 Activities include walking, cycling,and horse riding, and for the more adventurous:- the award winning high wire forest adventure course "Go Ape", and a spuperb off-roading course at "Langdale Quest". 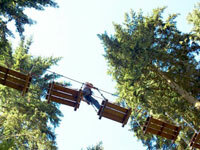 The forest also stages outdoor concerts during the summer. 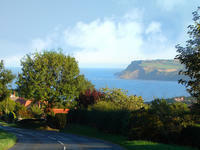 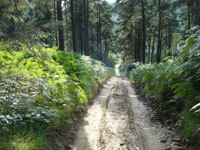 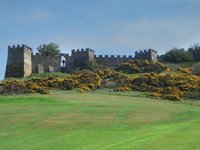 To see panoramic photographs of Goathland, click here! 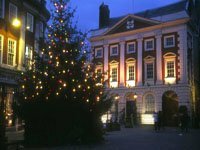 For a comprehensive list of events for 2015 click here!